Fishing is obviously one of the most enjoyable activities. What makes it more gratifying is when you have the best type of lures that can catch a large number of bass. According to professionals, the most important factor in choosing bait is versatility. With this, here are the best bass lures that you can choose from. 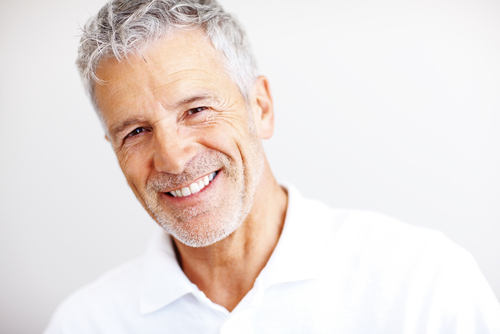 Ask the experts and you will surely have rubber worms as their number one answer. When it comes to versatility, rubber worms do have the highest score. They look more natural. Thus, they are good in tricking fishes. This makes them more attractive to bass compared to plastic worms. One of the best things about rubber worms is that they come in wide selection of size, style, design, dimension, and color. In this way, you can make sure that you can find the best bass lure that will fit your exact requirements. When it comes to rigging rubber worms, there are many ways on how you can do it. It is a matter of the depth of strike zone. For worm fishing, experts agree that the most popular and efficient methods to rubber rig worms are Carolina Rig, Wacky Rig, and Texas rig. However, the most characteristic of all these rigs is the Texas rigs. This rig is an ideal choice for thick weeds where bass tends to dwell. This is because Texas rigs are completely weedless. 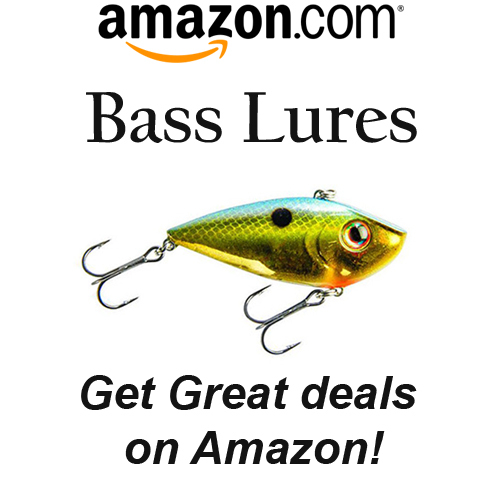 Spinnerbaits is also one of the best bass lures that you yield you a good catch of basses. If you want t cover a lot of water in just a short while, this one is a better option for you. As they have a very distinctive shape, this bass lure could dive deep, and it mostly sinks within the structure of the underwater. Spinnerbaits come with an odd and shiny looks. They usually consist of a lead head that comes with various weights. The lead head is combined with spinner blades or wire framework. One of the best things about this bass lure is that it can catch basses that attack shook. Thanks to its capable trailer hook. 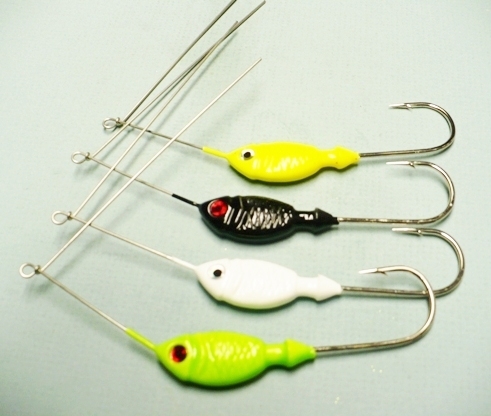 The most popular type of Spinnerbaits measures between ¼ and ¾ ounce. If you need the most favorite design, then you are surely looking for Colorado blade, Indiana blade, and Willow blade. Based on the speed that the Spinnerbait is reclaimed from that water, these blades spin wildly. This action is a big help in making a commotion to the water which the fishes could see and sense. Moreover, this bass lure also features a colorful skirt that helps in attracting basses. Another good choice of the best bass lure is crankbaits. 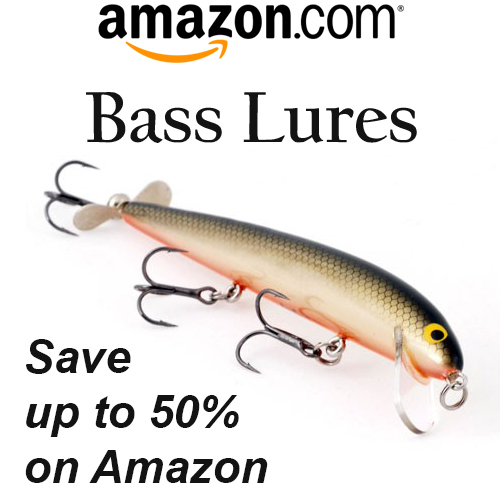 It is also known as a versatile bass lure that is quite similar with the spinnerbaits. The best part of this bass lure is that they can be useful in wide range of fishing environments. They are an excellent choice for you rocks banks, shallow flats, and steep edges, around bushes and near grass. 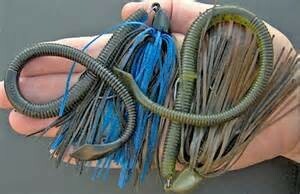 Crankbaits come in wide variety of shapes, sizes, running depths weight. However, you have to keep in mind that it is vital to have the right selection of specifications. In addition to that, the skill of anglers in using this type of bass lure also plays a critical role in the success of catching bass. This kind of bait is useful although the skill is imperative. Say for instance, if you are fishing in clear water, it is recommended that you use jigs that have lighter weight. On the other hand, heavier lures are ideal for murky water. Jigs also come with a colorful skirt that helps attract fishes.Jigs are more ideal for pitching and flipping technique instead of casting. Although this is one of the best bass lures, this could not be a perfect choice for those who lack experience in angling. It is because they are quite challenging, and they command better skills. Every angler needs to keep in mind that there is a wide variety of specifications of jigs. To maximize the efficiency of this type of lure, there is a need to match the exact size, specifications and weight to the fishing conditions. These types of lures are made to ripple the surface of the water. As a result, they create popping sounds as they are retrieved from the water. Aside from the fact that these lures are effective, they are also fun to use. This is the reason why it is also considered as one of the best bass lures out there. Top water lures are also called as spitters, poppers, etc. You can have them in different styles and color that resembles the best foods of basses such as insects, frogs, and minnows. Most of these types of bass lures contain cupped lip which is responsible for the creation of unique sounds. Furthermore, there are also some topwater lures that look like living stuff as they are decorated with treble hooks. These are perfect choices for fishing around grass, shorelines, open water and stumps. You would surely love this type of lure because of their capability to catch largemouth basses even from depths more than thirty feet. This makes them included in the list of the best bass lures around. Selection of the right type of fishing lure is one of the most important tasks that anglers should undertake. Do take note that it could be very overwhelming when you see incredibly wide selection of lures in the nearest sporting goods store. This is the reason why you have just made the right decision of landing on this website. In addition to that, you should also keep in mind that not all types and designs of lures last long. The best bass lures that are given above will surely hold firm. Make sure that you go for lure designs that are tested and proven by experts. In the long run, whatever type of fishing lure you prefer, it is imperative to have the proper skill.